A small group of hardy individuals assembled in Richmond Park for the 8am marathon start. 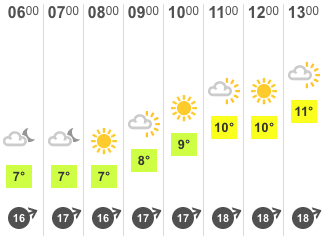 There’s a half marathon event too, but those guys get a lie in and don’t start until 10am. After a good ten minutes clearing the clods of mud off my trainers from yesterday’s parkrun, I was ready. It was cold, but not unbearably so. Numbers were handed out and pinned (hard to do with cold fingers – worry being you’ll pin it to your fingers or your own stomach). The start was a couple of km from registration, so we jogged down slowly. Mrs came too and grabbed a pre-start snap. With a good old fashioned “Three, two, one, go!” we were off. I let the fast bunnies all disappear into the distance, and started off at a sedate pace with my good friend Chris. Aiming for 6:00/km I was there or there-abouts. A little slower on the hills, a little faster on the flat, all good. I lost Chris about 5km in as he went for a pit-stop, and I pushed on. First of the four laps was the short one, and I dispatched that well – feeling good, pacing well, walked up the steepest hill (as planned) but jogged up the others. Mrs met me at the first turn point with a bottle, I took a swig and went off for lap two. The second lap passed without incident apart from a pit stop of my own where Chris overtook me back while I was indisposed. Finishing lap two Chris had just set off down the sharp finishing hill as I was at the top, so we were still much-for-muchness pace-wise. I was on target for the first 24km! It started to feel a bit harder as lap three opened up, and then as I turned left to cut across the long road in the park to Sawyer’s Hill, the wind hit. It was a real blower, not so gusty but consistent and strong. A km further on and my knee started complaining. Where it’s done that before I’ve pushed on through and it’s cleared, but this felt different. Shortly after my right knee started making itself known. I ran/walked across to Richmond Gate, and was grateful to get out of the wind, but it had become clear that I wasn’t going to finish. I gave Mrs a call to let her know I was run/walking my way round lap three and was going to pull up at the turn-around. The remainder of the third lap got harder and harder, I could only run for a minute or two before needing to walk again, regardless of terrain. Stopping was the right thing to do, I can’t take another injury and the resulting recuperation – not when I need to spend winter focusing on my running. I completed a shade under 32km (20 miles), in around 3:20 (not sure of exact time, forgot to stop my watch!). Well done, Chris - great run! All in all it was very frustrating. I was feeling strong mentally, I had no loss of energy, I was breathing easily – by rights I should have been able to hold that pace for the whole event – but my knees had other ideas. My mother-in-law got it right on twitter afterwards with some wise words: “He who runs and stops half-way, is fit to race another day”. As true as that might be, this is the first event I’ve ever DNF’d (Did Not Finish) in my life – and that’s not the day I was looking for. Thanks to my wife for cheering me on, it means so much to me to share things like this with you (the events, that is, not when I fail :), and thanks to Thames Turbo Triathlon club, and in particular Tarsh, club social secretary and general all-round source of fun and energy, for organising the day. No races for a while, time to buckle down, run, keep in the gym, and come out stronger and faster and ready to go the full distance in Rotterdam - and maybe then I'll finally get a marathon time on the board! 12 hours until my first stand-alone marathon - eeeep! So, tomorrow I’m running my first stand-alone marathon (no, the marathons at the end of Ironman races don't count) - the Thames Turbo Triathlon Club Richmond Park Marathon for Turbos and friends. It’s a significant event for me, it was the first race I pulled out of after picking up some ITBS at the 2012 Royal Parks Half Marathon (where I smashed my PB to pieces as well as my iliotibial band). The general advice is that you should always to write down your race plan, so here we go. Last year I was hoping to burn round at the peak of post-Ironman fitness and smash out a sub-3:30. No chance of hauling my arse round in that time at the moment – I have a bucket less fitness, and around a bucket more weight. 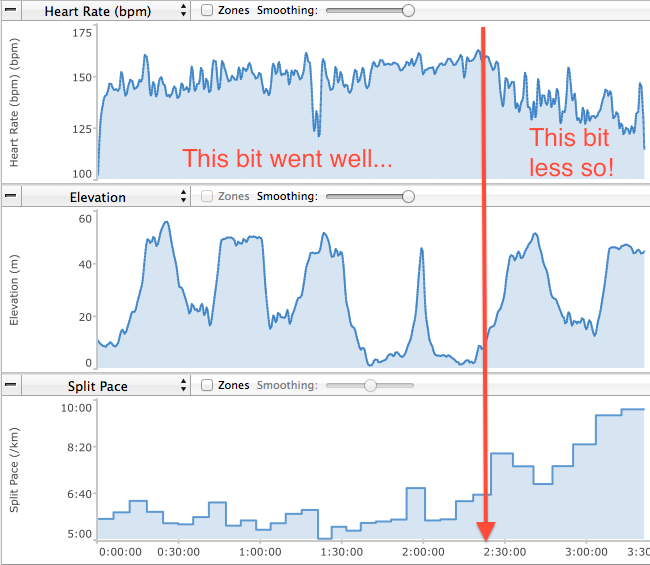 I would dearly love to hit 4 hours, but love is not enough – need to run a bit too. So, I’m going to go for a solid consistent 6 minutes per km, from start to finish. If I have any beans left then I’ll see if I can just nudge a negative split, that would be the icing for my inaugural marathon cake. 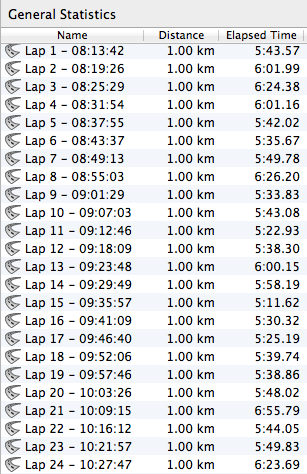 6min/km works out to 4:13.12, so with a few seconds for stopping at the drinks table the big target is 4:15. Mrs will be on hand to yell encouragement, check her twitter feed (@totkat) for updates (maybe). She ran an incredible 50 mile (80km) off-road ultra-marathon in Rotherham recently. The bar has been set, and I'm not going to get anywhere near it! 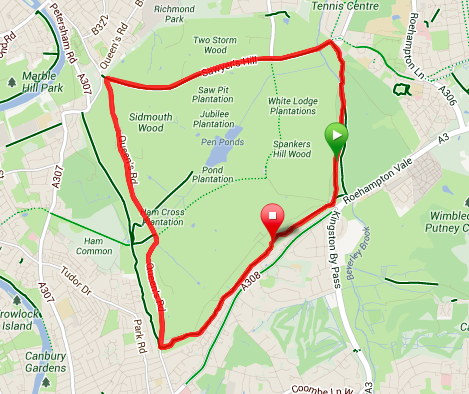 One lap of about 9km followed by 3 of about 11km. Start at the green marker, run anti-clockwise to the red marker (that's the 9km lap), turn around and run clockwise round one full 11km lap back to the red marker, turn again and run 11km anti-clockwise, then one more turn and an 11km clockwise circuit, all the way round to the red marker to finish. Despite a little more cake lately than an LCHF food plan might advise, I still seem to be well adapted to fat burning – a few weeks ago I ran a come-back PB parkrun and followed it with a 90km bike ride and all on a cup of coffee. That was a fun experiment - I was hungry by the time I’d finished but that’s because I didn’t have any food in my stomach – I certainly wasn’t bonking or feeling drained of energy. So, with that in mind I shouldn’t need to fill myself with sugar every 5 minutes to get round. Ah yes, you’re supposed to have a plan B. Plan B is “adjust pace if required, but try and keep consistent, take as long as you need to finish – but do try to finish”. I’ve entered the Rotterdam Marathon which is on 13th April 2014, and I’m going to train for that properly – until then, this will be my PB.